The no-frills and no-nonsense style of Sarawak Chief Minister Tan Sri Adenan Satem has surprised those who thought they knew everything about him. EVERYONE thought they knew Tan Sri Adenan Satem inside out. The Sarawak Chief Minister has been around so long that they thought they knew everything there was to know about him. But he has continued to surprise everyone, making headline news almost every day in the Sarawak newspapers with his war on illegal logging and corruption. Onlookers are still trying to absorb the fact that the top leader is talking so openly about these issues and seems sincere in wanting to tackle them. Stuff like that used to be the domain of the Opposition. 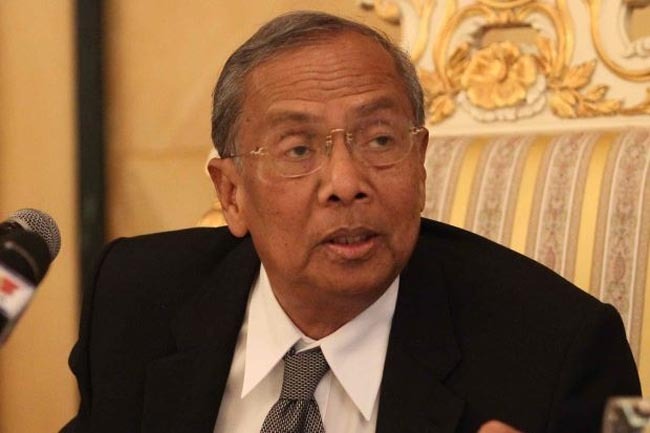 Adenan’s approach has been a hot topic for Sarawak’s chattering class. A few days ago, he said that legislation for heavier penalties on illegal logging would be tabled at the next state legislative assembly. This had come on the heels of the owners of the six biggest timber companies in the state signing an integrity pledge in front of the MACC. These logging tycoons are billionaires whose business interests dominate the state economy and it was quite a coup for the Chief Minister to get them to make a public commitment. Of course, the question now is whether they put it into action. Adenan’s policy pledge to direct more development for rural areas has also made people sit up. “It will be a big step forward if he sees it through. About 50% of the population are rural. If you neglect the rural areas, you are neglecting half the people,” said Unimas political scientist Dr Faisal Syam Hazis. At the budget session last month, journalists had their eye on more than just the budget. Tan Sri Datuk Patinggi Haji Adenan Bin Haji Satem (born 27 January 1944 in Kuching, Sarawak) is the fifth and current Chief Minister of Sarawak. He officially took the oath of office in a ceremony held at Astana on 28 February 2014, and also the President of Parti Pesaka Bumiputera Bersatu (PBB), which is part of the Barisan Nasional coalition. He is of Malay–Melanau descent. He took over from the former Tun Pehin Sri Haji Abdul Taib Mahmud.